Why Asus Zenfone Max Pro M1 is still the best pick in the budget segment. 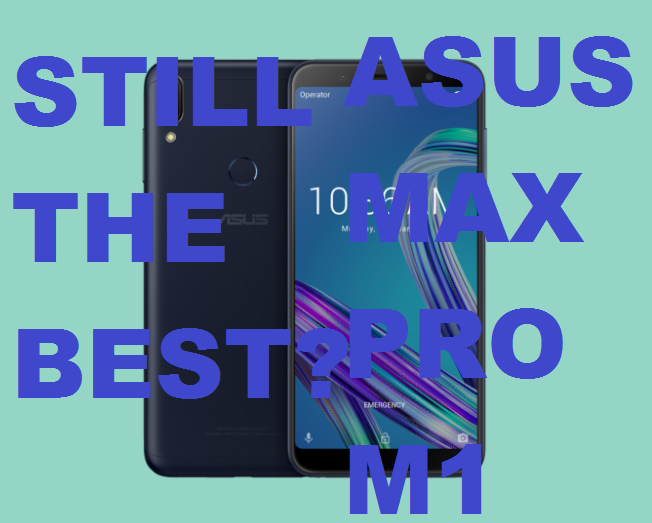 Asus Zenfone Max Pro M1 is the Asus answer to xiaomi Redmi note 5 in the budget segment smartphones. Though there are new phones coming up by other brands in the budget segment such as Oppo real me, Xiaomi A2, and Honor N9 but still Asus Zenfore Max Pro M1 is the best pick among all other budget segment android smartphones available in the second quatar of 2018. Asus Zenfone Max Pro M1 was released in April month of this year (2018) with two variants, which are, 3 Gb ram and 32 Gb storage and 4GB ram and 64 Gb storage. It has the specifications such as processor, ram, camera comparable to other android smartphones in this range but here are the things which out stands the Max Pro M1 from other competitors. Asus has clearly won in the pricing. With providing 64 Gb storage and 4 Gb ram version in just 13K INR Asus has complete dominance. More over, with Flipkart on going sale with all the applied discounts you ay get this phone for as low as 11K INR. Asus has kept up with the latest trend regarding the smartphone display. Though other competitors are also proving the 18:9 screen but Asus has also keep up with the trend with 5.99 inch, 2k resolution AMOLED touch screen. While some smartphones like Real Me and Iphone X has just given up on Fingerprint scanner while others are giving up the 3.5 mm headphone jack. But Asus have not compromised any sensors with the Zenfone Mam Pro M1. We get rear mounted Fingerprint scanner, a head phone jack and all the other essential sensors like gyroscope to enjoy VR. Latest Android Oreo Upgrade to Android Pie. Asus Zenfone Max Pro M1 comes with Android Oreo out of the box which is currently the latest Android version with promised update for Android Pie. So you won't be left behind from trying the latest Android features offered by Android Pie. Here comes the big thing! With the modern smartphone all struggling with battery life, The Asus Zenfone Max Pro M1 is here to keep you away from that problem. With the massive 5000 Mah battery you will get up to 840 hours of stand by time and over a day and a half of usage time. With that you never have to worry about battery getting drained while playing your favorite android games. So these were the things which makes the Zenfone Max Pro M1 the best pick in the $200 - $300 price range. Let me know in the comments what you think about it and what is your current smartphone.